I have written booklets on the Acadian families that settled in Acadieville. to the present day. These lineages deal mainly with the people of eastern N.B. PS: These booklets are in the french version only. 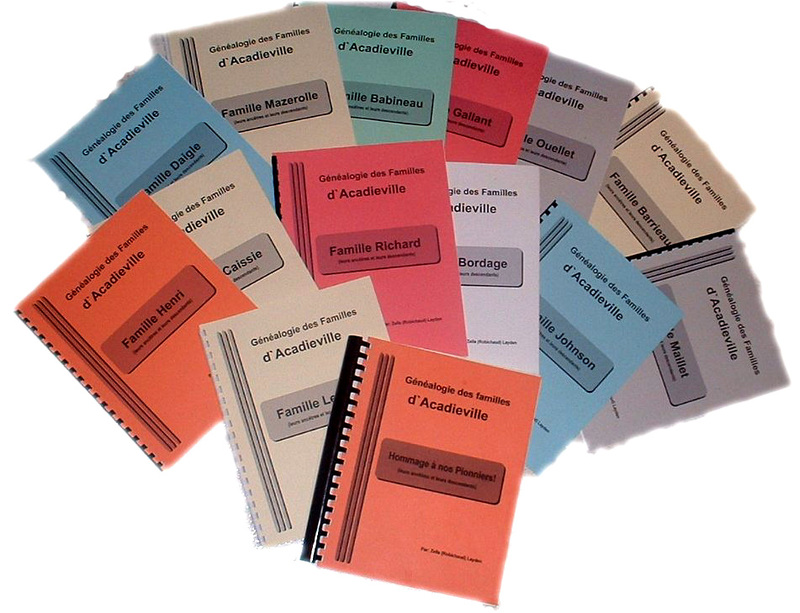 The complete collection of the 19 families is also available in one volume (Volume 2). Pour placer une commande ou pour d`autres informations.